We all dream of that perfect vacation spot, wherever it may be. Somewhere that’s like a home away from home, where we can relax and enjoy ourselves with family. Airbnb offers unique listings around the world to help you plan your dream getaway. Whether an apartment for a night, a castle for a week, or a villa for a month, Airbnb connects people to unique travel experiences, at any price point, in more than 33,000 cities and 192 countries. Please join @socialmoms, our wonderful co-host @makobiscribe and @Airbnb Thursday, December 19, 2013, as we talk about our ideal vacations and most memorable and unique vacation moments! You’ll be entered for a chance to win prizes just by participating during the party. Don’t miss out on the fun! Please make sure you follow @socialmoms, and @Airbnb before the party! Random drawing winners will be notified within 24 hours of the event on the @socialmoms Twitter page and via DM or @reply on Twitter. Please make sure you are following @socialmoms so we can contact you! 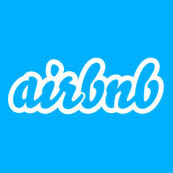 To make comments and/or replies you must include #Birdbnb somewhere in your Tweet on Twitter. This is the only way your comment can be seen by the group at the event. Please join in on this fun party! Airbnb knows how to make travelers feel at home in any city they are traveling to. These travelers are like birds that instinctually travel, searching for a place where they feel at home; they see the world from a different perspective. Watch the beautiful documentary-style film about the love, care and attention to detail that Airbnb hosts put into welcoming every traveler! Don’t forget to check out the #Birdbnb birdhouse installation hosted by @Airbnb Located at the Audubon Park in Nola from December 16 through December 22. Come One; Come All To The #TheBoxtrolls Twitter Party!